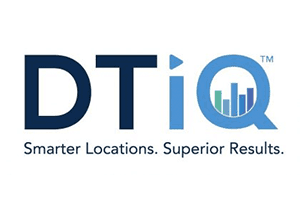 LPI’s national team of professionals provide audits, training, investigations, analysis and consultation services to over seventy companies and eight thousand locations across the US and Canada have rebranded to DTiQ. DTiQ improves how restaurants and retail locations are managed. It is the world’s leading provider of intelligent video-based surveillance and loss prevention services; combining state-of-the-art surveillance equipment with advanced, cloud-based analytics and managed services. DTiQ has been in business for over 20 years, enhancing over 8 million consumer experiences daily, while protecting trillions of dollars of assets. Our customers are owners or operators that want to run a better store or restaurant. And they have been asked to do more with less while competing in a changing landscape. We are supporting our customers by delivering a managed service with minimal upfront costs that delivers smarter locations and superior results. We remain their dedicated partner – helping to measure the real customer experience and employee engagement to improve it. Intelligent Video: The most advanced surveillance technology on the market, we provide a dedicated platform for playback and video retention; and we offer it as a service. Advanced Analytics: Everything we do integrates with all major POS systems and is compatible with sensors, triggers and third-party systems. This means working with DTiQ doesn’t mean a rip and replace. 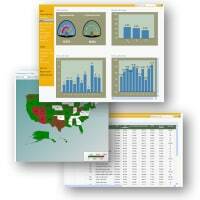 We use your systems combined with our software to measure performance and identify losses. More than just a report, our DTiQ will deliver you actionable results to make true change. Custom Solutions: Our business is full of experts within retail, c-stores, and restaurants. We do more than produce analytics and install technology – we interpret it for you through our solutions team and our virtual and on-site auditing can drive home the metrics that matter to your store managers in addition to providing investigations, exception based reporting analysis, training and awareness programs and consulting. You’ll get insights from the combined video and data results, 24/7 troubleshooting and support for all programs. DTiQ exists to deliver you the best technology, using a true ‘mobile first’ experience, with state-of-the-art surveillance equipment and sensors, supported by cloud-based analytics and artificial intelligence.